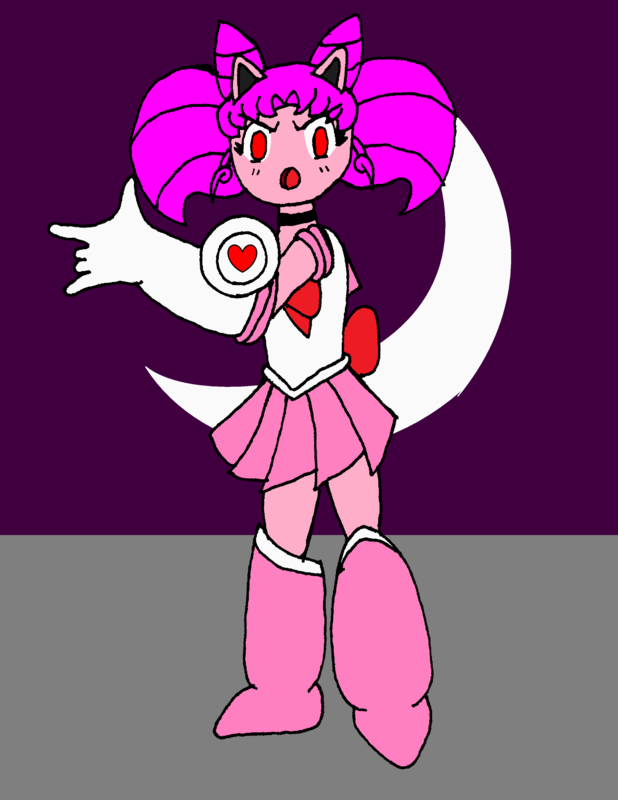 "in the name of the Future moon I will punish you!" Jigglyusa shouts as she readies her mega heart buster. her foes laugh but are taken by surprise as she uses her new powers on them. so after the incident with the Cyclops, Jigglyusa had decided to take a page out of megamans book and make her own mega buster. Now every time she transforms she has the heart buster.